Storm has brought back the Catalyst Core in the Storm Crux Prime high performance bowling ball. 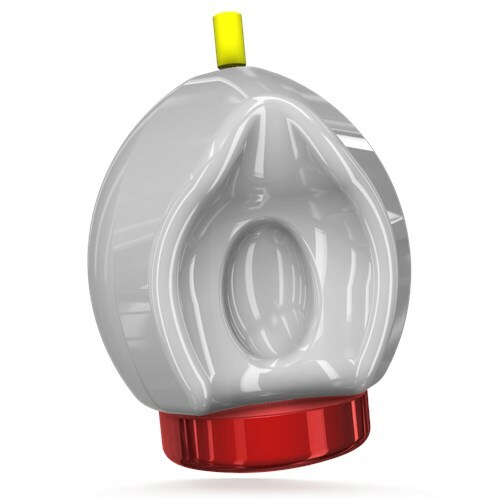 This popular core has been known for its unmatched power, increased entry angle, as well as allowing more room for error due to dynamic asymmetrical design and vertical cavity technology. The SPEC coverstock used in this ball stands for Storm Performance Enhanced Coverstock. This special coverstock was specifically designed to endure the friction and oil a bowling ball goes through each time it is thrown down the lane. The SPEC Solid Reactive coverstock used on the Crux Prime is best used on heavier oil conditions and really shines when the lanes start to transition. No matter what lane condition this ball faces it will consistantly read the midlane and store energy for the backend. Similar Balls: Same Hook Potential, Lane Conditions & Coverstock as the Storm Crux Prime. Bowled two series in league with the Crux Prime... 600 and 669.
feet and mark to keep using it. Great ball! I would recommend this ball. Got the Storm Crux prime yesterday that ball is so sweet. Had 602 first night. Highly would recommend you get this ball!! This ball is simply amazing... it smells good and looks good !!!! I drilled mine at 70*4.5*30 and it is strong and crushes the pins !!!! It strong off the break point and gives me great ball motion on many different conditions. Strong and Continuous... What more do you want? The Crux Prime is the latest release in the Premier line. The Prime is wrapped in a brand new storm technology, the SPEC Solid Reactive. The Spec Solid Reactive is designed to give heavy midlane roll for the longer/heavier volume lane conditions. I personally like the Asymmetric bowling balls becuase they help me blend the lane front to back. Sometimes with strong bowling balls like this, they tend to burn up and don't go through the pins very well. The Spec cover on the proven Catalyst Core retains plenty of energy allowing me to split the 8/9 a lot. If you need a ball to combat the heavy volume/longer patterns, this is the ball you've been waiting for! This ball will be better for Rev challenged players and speed dominant players. If you are Rev dominant or throw it slower, I suggest speaking with your PSO before drilling! The comparison I did was betweent the Crux Prime and the Sure Lock. For me they offered similar strength, but the Sure Lock had more pop downlane (Probably because its older). The Crux was much smoother and earlier rolling. do they use generic core on 12 and 13 lbs crux prime? The Storm Crux Prime will hook more than the PhysiX for it has a solid coverstock and is meant for only heavy oil. The Crux Prime will be more aggressive. How would this ball compare to the Sure Lock? The Storm Sure Lock will have the same hook potential, lane conditions & coverstock as the Storm Crux Prime. The Storm Alpha Crux will have the Same Hook Potential, Lane Conditions & Coverstock as the Storm Crux Prime. i throw for a 13 lbs is the crux prime good for medium oil just ment for heavy oil? The Crux Prime is meant for heavy oil only. There is nothing wrong with the ball. That is just the top weight that the ball came with. They will be very similar. The Jackal Ghost will have the Same Hook Potential, Lane Conditions & Coverstock as the Storm Crux Prime. 2/21/2019 - By Parker B. This ball is meant for heavy oil conditions only so it may react a bit differently on a house shot. You can request for this information under the weight selection tab where it says "Click to request pin/top weight". I have been using a 15lb Storm Match Up which works great on my home lanes (wood) when they are drier but it absolutely skates when they are freshly oiled. I experience the same thing on synthetic lanes. I am an intermediate with a Norm Duke type delivery, would the Crux Prime be too aggressive for me in wet or synthetic conditions? If so what ball would be a step down in aggression? The Storm Crux Prime will be much more aggressive than the Storm Match Up for the Match Up is a mid performance ball and the Crux Prime is a high performance ball meant for heavy lane conditions only. Anything less than the Match Up will be an entry level ball. Is this a good ball for dry oil or no? The Storm Crux Prime is meant for heavy lane conditions only. Had hit it with a 1500 pad. But I think it’s hooking to early. Can I just put a 2000 pad back on it!! Or do I have to go too 500 ist. You can just use the 2000 pad to put back on it. My average ball speed is 14.5 +/-. Medium rev rate. I'm looking for a Storm ball to move left with and play deep, 3-4 arrows and I can trust will make it back without loosing energy, also get through the heads. 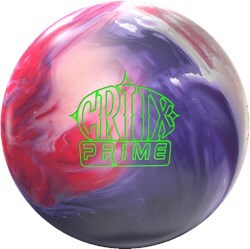 Would the Crux Prime be a good ball for me? This ball should be excellent for you when it comes to really heavy oil. Looks like the only difference between the two will be the lane conditions. The Code X will be for medium-heavy lane conditions and the Storm Crux Prime will be for heavy lane conditions only. Due to the time it takes to produce the Storm Crux Prime ball it will ship in immediately. We cannot ship this ball outside the United States.